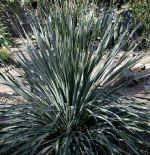 Dasylirion is a desert plant for dry positions. 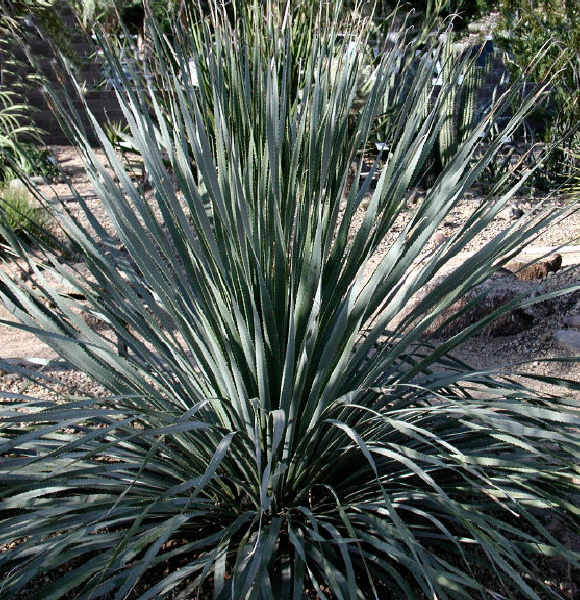 This tough plant is a native from Arizona growing slowly to form a dense rosette of silver-blue foliage 4-5 feet tall and wide. The leathery leaves have teeth along the margins, and a spoon-shaped base that gives the plant its name. Dasylirion wheeleri thrives in full sun and reflected heat, and even tolerates some shade and humidity if drainage is adequate, and hardy to -10°C. Often used as an effective impenetrable, hedging barrier. 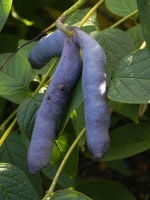 A very unusual deciduous woodland shrub from Himalaya bearing bright blue beans in the Autumn with typical pea family pinnate leaves.Decaisnea fargesii is very unusual and fully hardy apart from late spring frosts. We have had an excellent crop on our own tree recently hence the new low price. 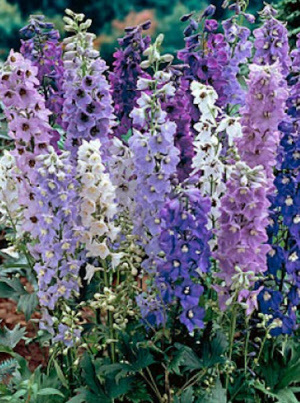 This dwarf series was developed to produce the widest range of colours available in dwarf 'Pacific' type Delphiniums. 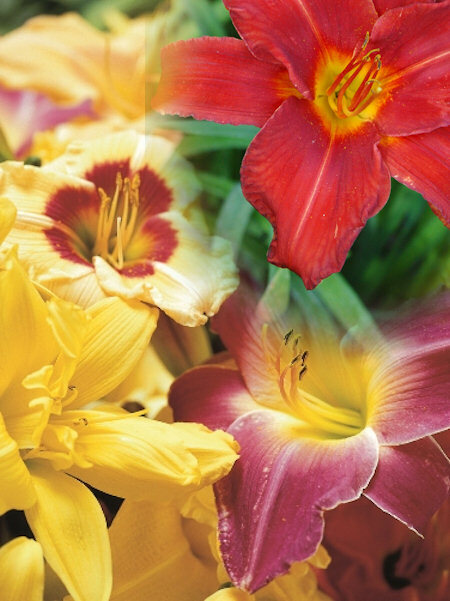 The centre of each flower (the 'Bee') is light or dark coloured depending on the variety. 60cm. 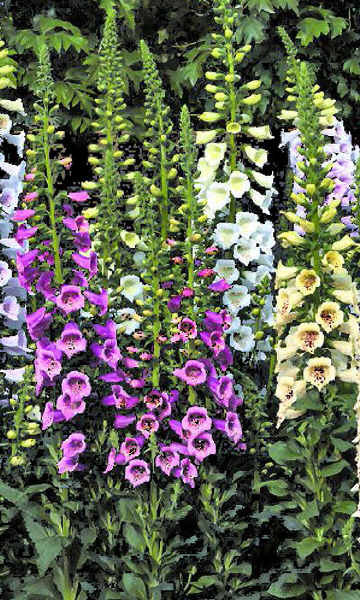 Wonderful, high quality, 5ft spikes of large, tightly packed florets in a range of beautiful shades with and without contrasting central bees. Delphinium Pacific Giant is stunning in a mixed tropical or cottage garden border. 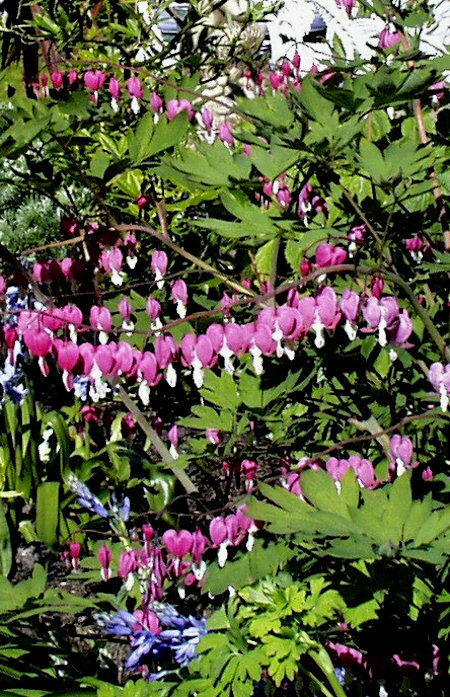 Dicentra spectabilis or bleeding heart (now called Lamprocapnos spectabilis) is a rhizomatous perennial herbaceous plant native to eastern Asia. 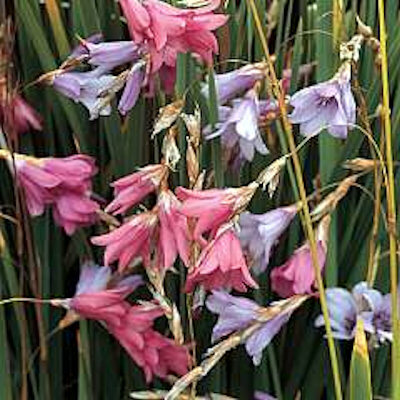 It produces wonderfully delicate flowers from long arching stems making a wonderful addition to any mixed border and fairly easy to grow. 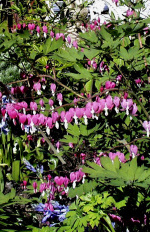 Dicentra is a natural woodland plant so it will need some protection from intense sun although in the north of England full sun, will probably be fine. 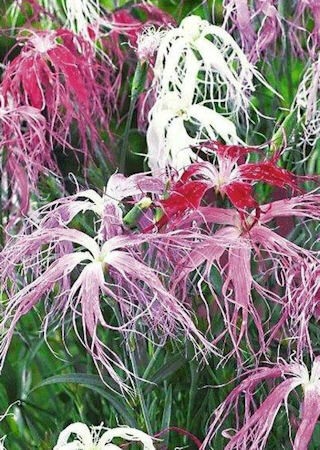 The plants die back in mid summer emerging early in the spring to put on a fantastic show. 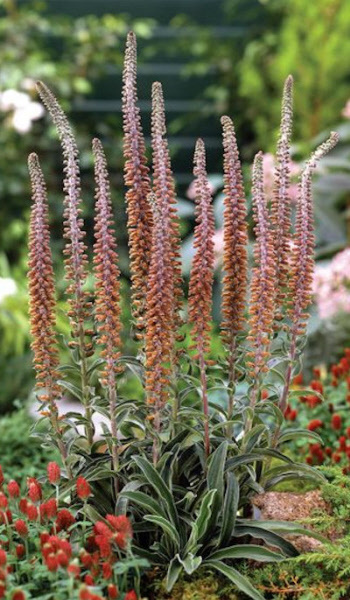 This delightful perennial resembles a fishing rod, long, aching spikes rise above the grass-like leaves, each one drooping under the weight of pendular bells. 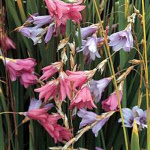 Our selection of Dierama pulcherrimum Angel Mix includes pink, lilac and lavender shades. To get the full benefit of this trouble free plant, grow it in a sheltered spot in full sun. The first ever F1 Hybrid foxglove seed which will flower the first year from an early sowing. 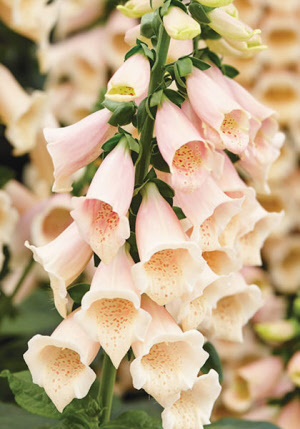 Digitalis F1 Camelot is a mix of cream, lavender, rose and white flower spikes in a uniform compact habit 2’ to 3'. For the chocolate lovers out there, Digitalis Milk Chocolate is an excellent perennial foxglove with dense spires of pale chocolate red flowers. Narrow, glossy green leaves on sturdy stems. 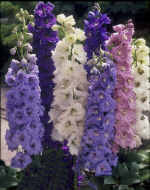 This delightful hardy species (Digitalis parvifolia) originates from Spain and Portugal. Digitalis Dalmatian Peach comes into flower early about 18 weeks from sowing. As a fully first year-flowering perennial this plant produces strong good-quality flower spikes. The soft apricot blooms produce a stunning effect. 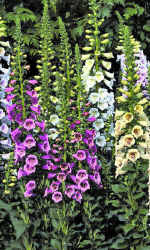 This Foxglove makes a great border plant adding some height and structure. The seeds are pelleted to make sowing easy. 40-50cm. Echium russicum is a fully hardy plant native to Russia and Eastern Europe. 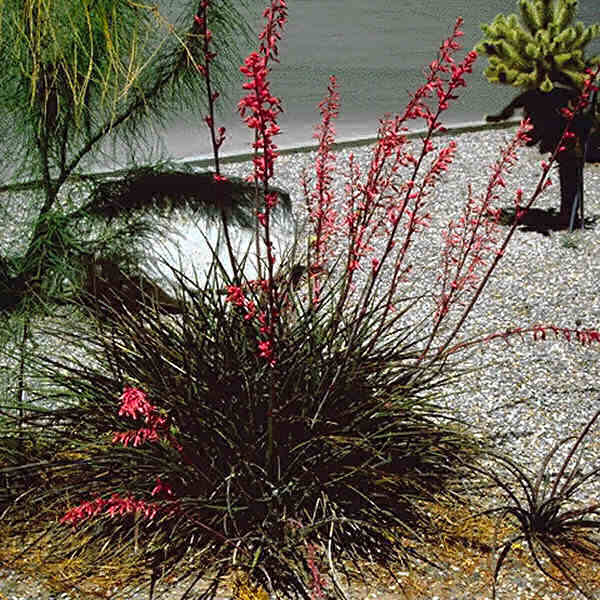 Short stout stems carry whorls of long lance-shaped dark green leaves, and a long succession of foot-long spikes of stunning, crimson russet flowers with prominent protruding red anthers. Flowers 24 months after sowing so an exciting candidate for the perennial border. 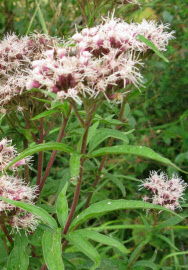 Eupatorium cannabinum more usually known by its common name Hemp Agrimony is a hardy perennial with scented pink flowers from July to September. 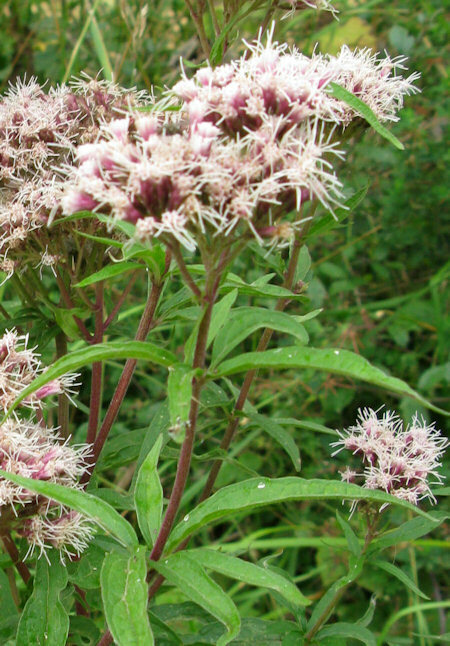 It attracts bees and butterflies into the garden and has some useful medicinal properties. 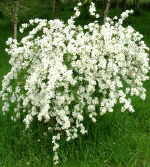 Exochorda macrantha ‘The Bride’ from China and Asia, lives up to its name and captures the sense of the season in a very special way. 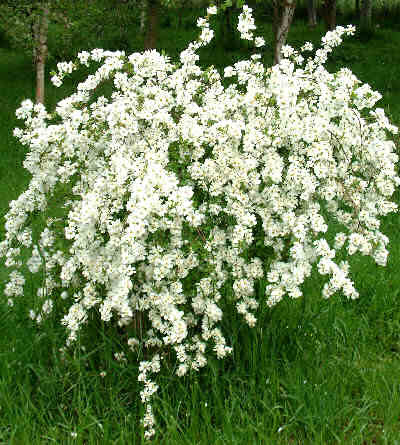 When clusters of showy white flowers smother the tips of its branches in late spring and early summer, this deciduous shrub resembles all the freshness and beauty of a blushing bride. It is fully frost hardy and not prone to pests or diseases and loves a full sun position or light dappled shade in any reasonable fertile soil. It tops out at about 4ft but is quite wide with long arching flowering shoots. 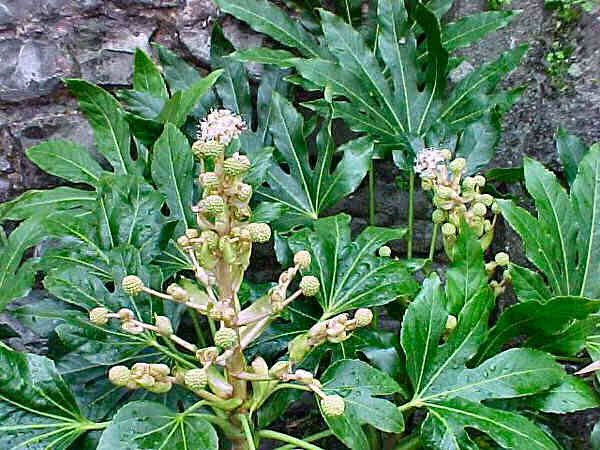 Usually seen as a House Plant, Fatsia japonica is an ornamental large leaved sub tropical foliage plant and hardy to about -15C. 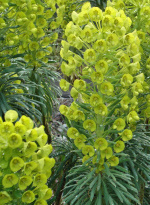 Easily grown from seed to produce a reasonably sized plant in the second year. Prefers the shelter of a warm wall to be seen at it's best. Fremontodendron californica or Californian Lilac. 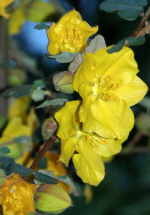 A lovely hardy shrub down to about -10°C with large waxy 3” saucer shaped buttercup yellow flowers. Requires a well drained soil and a hot position. 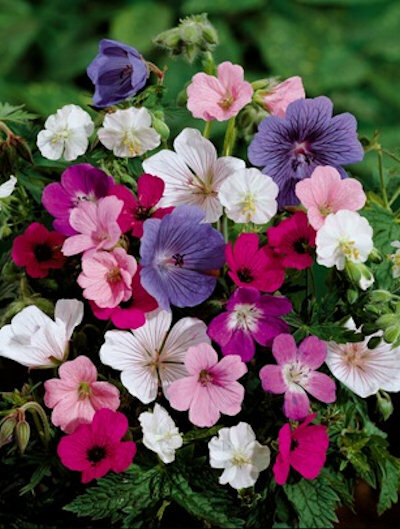 Geranium Hardy Mixed - an excellent mixture of many varieties and species of the hardy geranium essential in any cottage garden. A good way of filling a sunny border quickly and you can always thin out the colours you don't want once established. 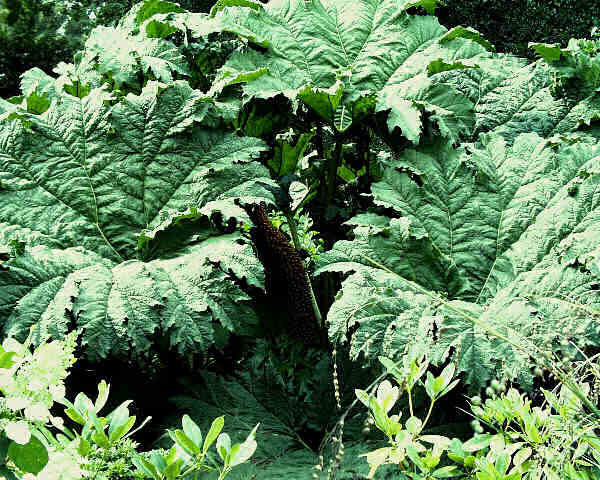 Without doubt Gunnera manicata must be one of the most majestic hardy plants, with giant leaves on stems reaching 9ft to 10ft making a stunning feature in any water garden with enough space to accommodate it. 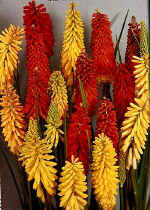 Can be contained if planted in a muck bucket or other large container and given lots of water. 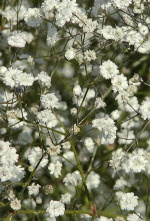 Frothy clouds of pure white single and double flowers held above slender, grey-green foliage. 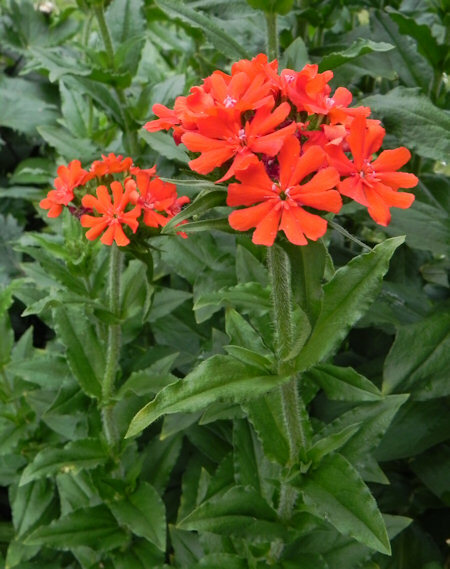 This excellent perennial does well in a sunny spot with light, well-drained soil. Needs a bit of support with pea sticks before the flowers appear. A favourite cut flower for arrangements to 60cm. Hardy. An attractive woodland winter flowering perennial these fabulous hybrid hellebores have large waxy flowers three inches or more across and extravagantly marked with spotted maroon and red in various shades including black. 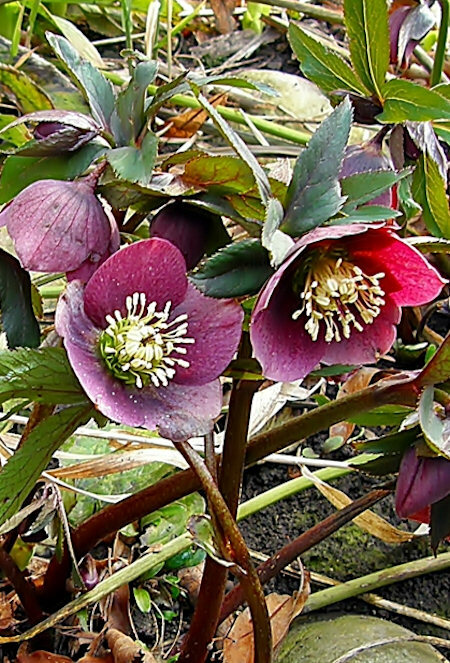 Helleborus orientalis Ballards Hybrids can serve as good green fillers in a partly shaded border or wild garden during the summer months. 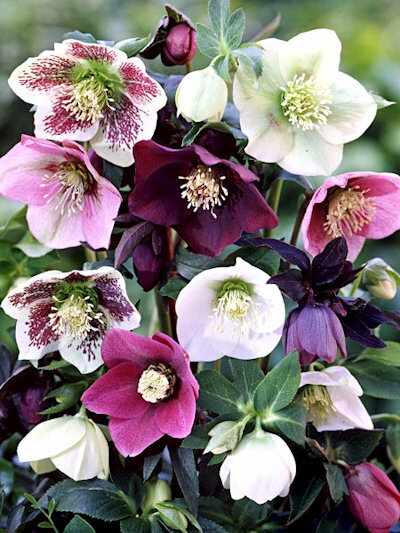 A dark maroon strain of Helleborus orientalis and woodland winter flowering perennials Hellebores can also serve as good green fillers in a partly shaded border or wild garden during the summer months. Now here is an interesting one for you to try out in a tropical border. Hibiscus coccineus is a large red flowered Hibiscus able to take between -5°C to -10°C but not making so large a plant after recovery. 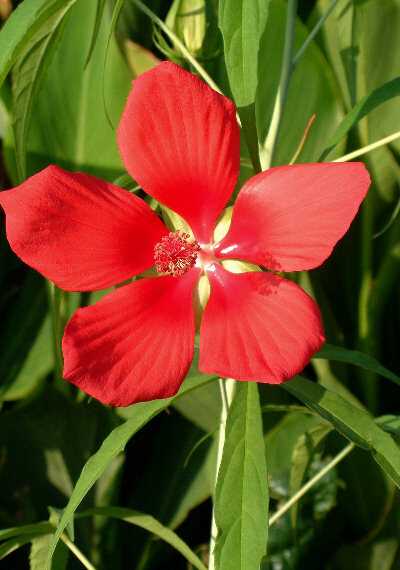 It comes from the swamps of Florida and Louisiana, but I usually over winter them in a frost free polytunnel and then use the plants for tropical bedding rewarding me with huge red flowers on 6ft plants worthy of any tropical bedding. Pretty delicate light green hemp type foliage. It naturally dies back to the ground during winter then regrowing up to 10ft in its natural habitat. 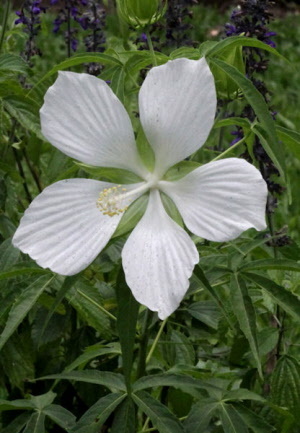 Hibiscus coccineus alba is a large white flowered Hibiscus able to take between -5°C to -10°C but not making so large a plant after recovery. It comes from the swamps of Florida and Louisiana, but I usually over winter them in a frost free polytunnel and then use the plants for tropical bedding rewarding me with huge white flowers on 6ft plants worthy of any tropical bedding. Pretty delicate light green hemp type foliage. It naturally dies back to the ground during winter then regrowing up to 10ft in its natural habitat. 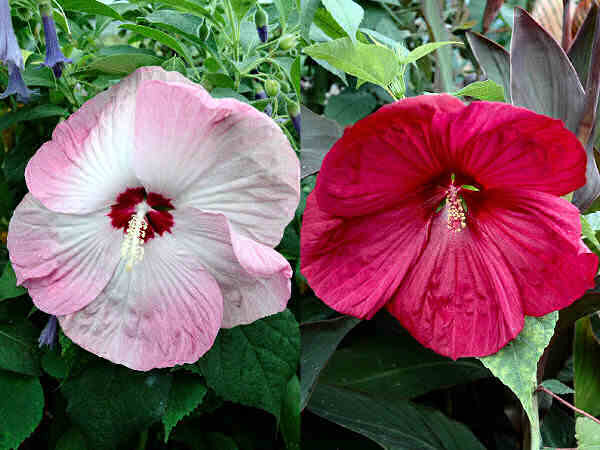 Another outstanding seed grown hardy Hibiscus. 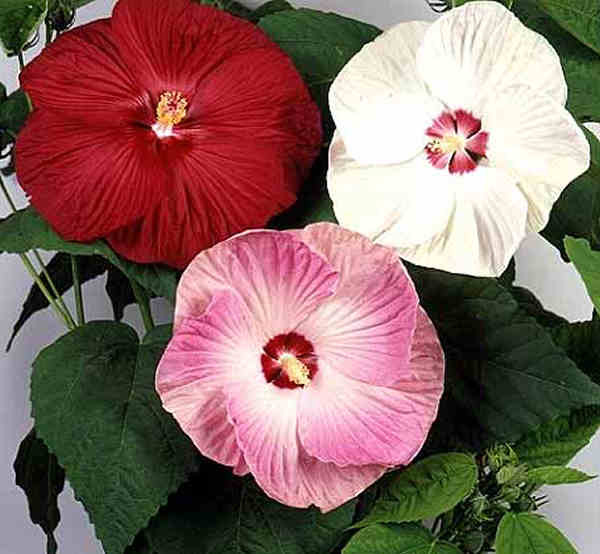 Hibiscus Disco Belle has blossoms up to 9” in diameter in white, deep red and pink mostly with red centres June-Oct on shorter plants than Galaxy. Strong, very upright habit growing to 3ft when established and frost hardy to -10°C. These hibiscus die back to the ground each year and the old growth is best pruned as new shoots emerge from the base in spring. 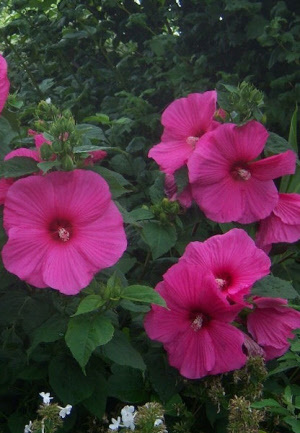 An outstanding seed grown Hibiscus, Hibiscus Galaxy is a very large flowering mixture of Rose Mallow with exceptional colour display on tall 6ft plants. 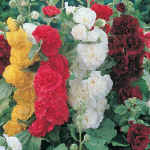 Blossoms up to 10” in diameter of clear colours from white to deep red and all shades in between mostly with red centres June-Oct. Strong, very upright habit growing to 6ft and frost hardy to -10°C when established, we were totally overawed by them in our seed trials. This is the wild form of the swamp hibiscus with large pink flowers with red centers with blossoms up to 6” in diameter June-Oct. Strong, very upright habit growing to 3ft when established and frost hardy to -10°C. These hibiscus die back to the ground each year and the old growth is best pruned as new shoots emerge from the base in spring. 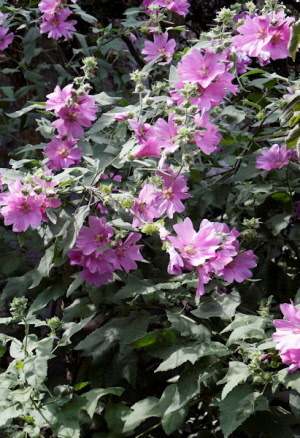 Hibiscus syriacus is a hardy deciduous shrub to 10 feet tall (3 m) that can be trained to have a single trunk. Alternate, coarsely toothed, smooth leaves, often with 3 lobes, up to 3 inches long. 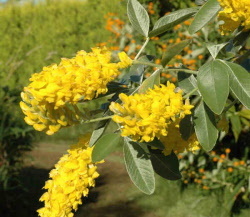 3" flowers cover the shrub in late summer creating a fantastic display of colour. Slow growing and expensive to buy as plants. The colours will vary from white, red or blue in our Jungle Seed Mix. 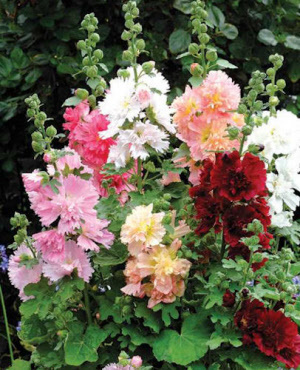 A completely new dimension in annual compact flowering Hollyhocks, these unique, bushy, dwarf plants produce stout stems which become clothed in beautiful, anemone-centred, frilly blooms, in a surprising array of colours including rose, red, lemon, lilac, pink, purple, and white. Ideal for planting in the middle of borders, or in large containers for an impressive patio feature. As a bonus the flowers are edible and because this plant reaches only 24 to 28 inches and the flowering stems are quite stout and strong, you need never worry about staking or tying the blooms! 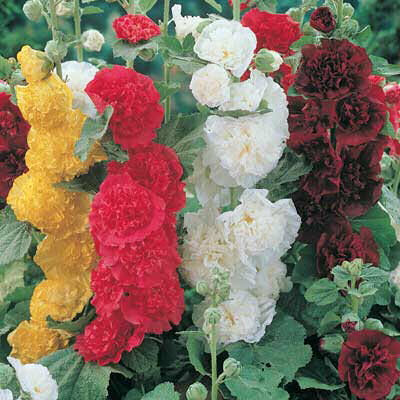 Hollyhock Summer Carnival - a superb selection will flower the first year from seed, given an early sowing, with fully double flowers in an excellent colour mix. Deep crimson, light pink, rose, red, yellow and white. Long lasting perennial strain flowering well in following years. We use Hostas in our own mixed borders that complement other exotics. Why not grow these expensive plants from seed, it is fairly easy and has the added advantage you will get a wide variety of sizes and shapes. Fully hardy the seeds can take 10-30 days to germinate. 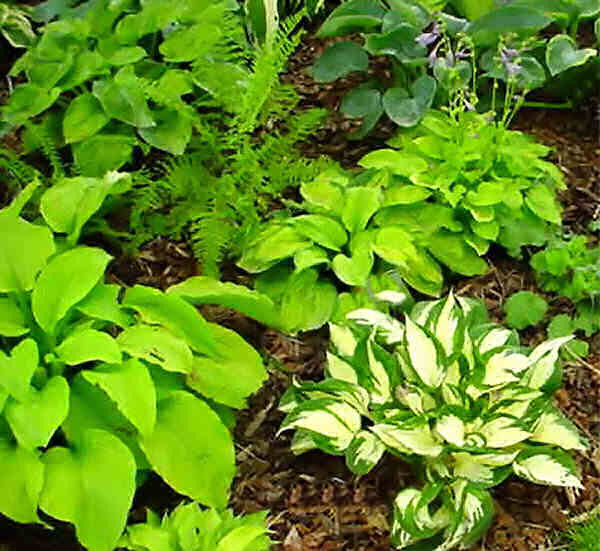 Naturally all of these hostas will thrive in shade to partial sun. 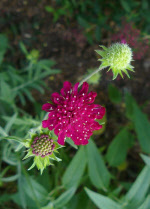 One of the finest perennials for a sunny border, Knautia macedonica Red Knight plants are tough long lived perennials that add vibrant colour to the garden. 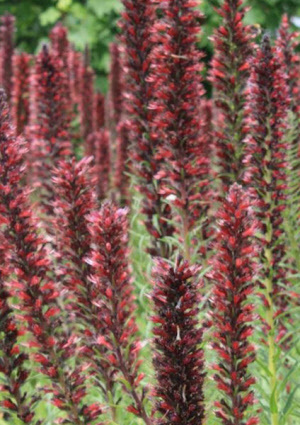 Red Knight, a dwarf variety to 2ft has deep scarlet blooms on strong stems resembling pincushions flowering throughout the summer and into autumn. 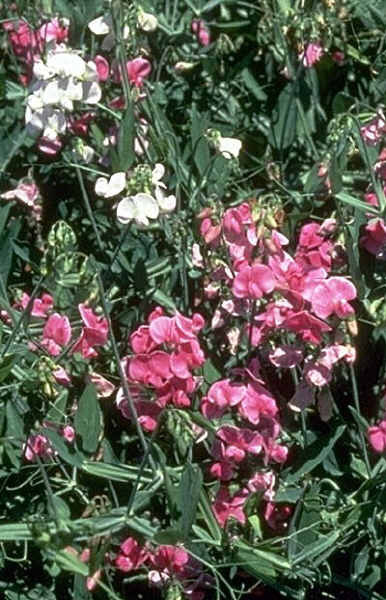 These plants are easy to grow, undemanding and tolerate poor soils. 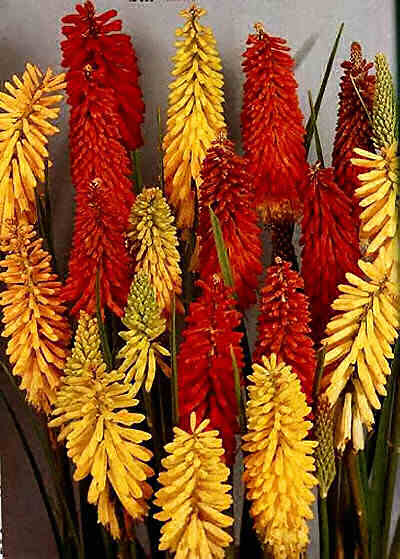 Superb plants from the hills of tropical South Africa, Kniphofia Flamenco can look stunning in a well grown clump. Different hybrids flower at varying times of the year to give a continual display. We offer a packet of mixed hybrids to try if you do not already have these in your garden. Needs a sunny well drained position to flower well. Look in your RHS A-Z encyclopaedia to see the full range of colours and forms available. This is a very much neglected but worthwhile hardy garden perennial climbing plant.Lathyrus latifolius quickly reach a height of 6-8 feet and can be trained over an archway, against trellis, fence or sunny wall. Our seed selection contains flowers in shades of deep rose pink, white and purple rose and are excellent for cutting. Perfume is very light though compared with annual sweet peas. We grow a few of these plants up metal obelisks each year with flowers produced all summer long. 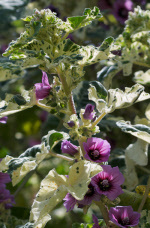 Lavatera arborea is an attractive short lived shrub and usually flowers the first year from seed. The woody stems can reach small tree like proportions to 6ft or more.. During summer and autumn clusters of 2" pink to red flowers appear all over the shrub. 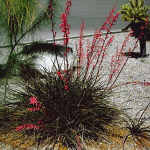 Plant in a warm sunny position with a well drained soil. Very fast growing attaining 6ft tall and 3ft across in the first year from seed! We find it hardy to about -8C Can be cut back in early spring. A cottage garden favourite Lychnis chalcedonica an herbaceous perennial produces upright stems of bright red flowers over apple green foliage in summer. Perfectly hardy and adds a bright splash of colour to the perennial border.